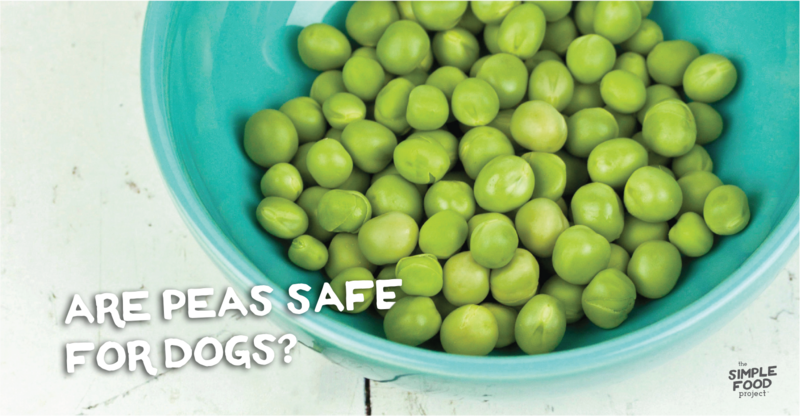 Home > Blog > The Industry > Are Peas Safe for Dogs? People who choose to become pet parents don’t take this responsibility lightly. Regular walks are a guarantee, picking up poo becomes as routine as reaching down for the newspaper, and belly rubs are expertly given whether using hands or feet. These “terms & conditions” are non-negotiable. Another responsibility of pet parents, bigger than dare I say even belly rubs, is staying informed about what’s best for their dog(s). So naturally, DCM and taurine are on most pet parents’ radars, either mentioned during pickup at the doggy day care or in passing during your weekend visit to the dog park. If you haven’t read a few of the heavier headlines like “Grain Free Dog Food and Cardiomyopathy Linked” or “Legumes and DCM Correlation”, here’s what you may have missed. Research from Dr. Josh Stern at UC Davis showed that some instances of increased susceptibility to the development of dilated cardiomyopathy were linked to high pea and legume diets. In his research, he looked at dog patients with dilated cardiomyopathy and found many were fed a grain-free kibble diet, which were high in legumes. This led a lot of readers to conclude that legumes, peas, and potatoes were the biggest concern regarding the link between grain-free diets and DCM, subsequently influencing what recipes they chose for their dogs. But, taurine may actually be the missing link. 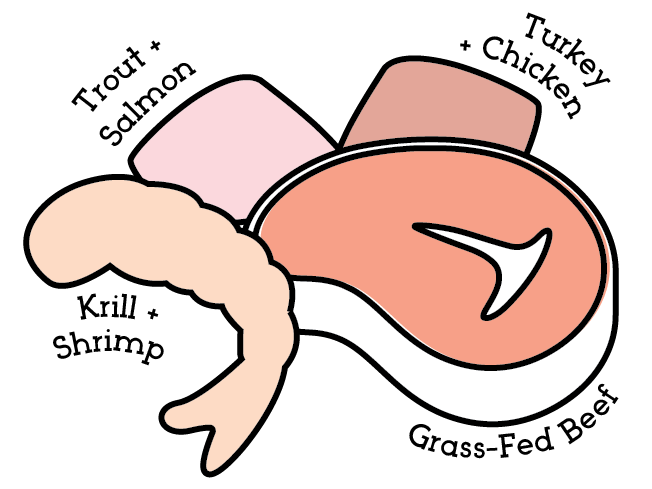 (Taurine is an amino acid found in high-quality meats and is concentrated in organ meats like the heart.) It’s important that we expand on taurine while also tackling the assumptions sullying the pea’s good name because peas and legumes really may not be to blame, at least not in the way you’d think. Many pet food brands have abused the idea of “grain free.” Originally, the grain-free movement was meant to address concerns of pet parents, animal lovers and advocates who began to question the considerable amounts of grain used in their pets’ food. The idea was to reduce grains and increase meat for our dogs. Grain free was going to mean quality. With limited options to replace grains, pet food manufacturers opted to substitute one inexpensive ingredient for another rather than adding higher meat content. The high percentage of (inexpensive) grains in a kibble ingredient deck was easily replaced with starchy veggies like peas or potatoes (which are also inexpensive). So, kibble went from one end of the spectrum, with high-grain diets and little meat, to the opposite end of the spectrum with no-grain diets and still little to no meat. Pet food manufacturers could have replaced the wheat with higher meat content appropriate for dogs but to keep costs low (and profits high) it was easier to swap grains for legumes. 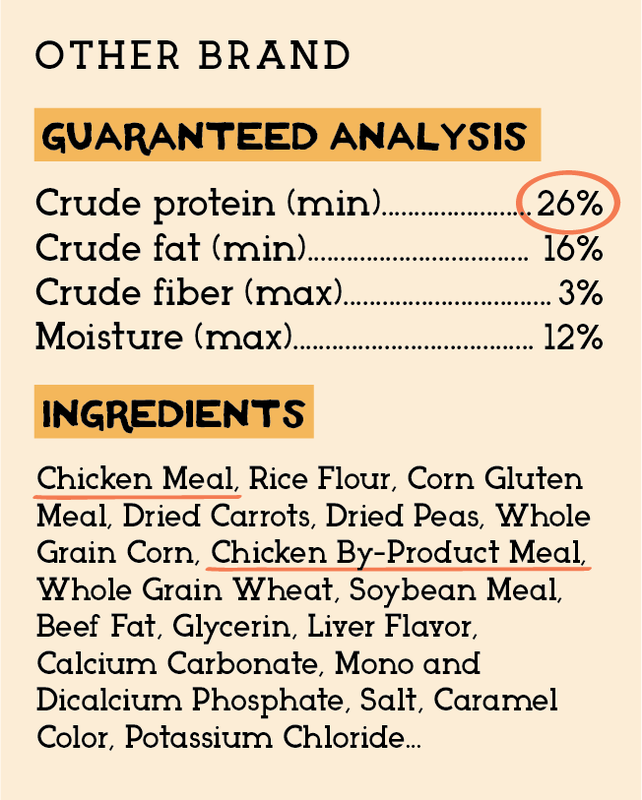 That’s why “grain free” isn’t always synonymous with high-quality pet food unfortunately. The true focus of these findings, because remember dogs are scavenger carnivores, is that they need a diet high in meat protein and low in carbohydrates. Kibble diets, whether they are high in plant proteins or high in grains, are not species-appropriate and ultimately lack the dietary taurine for dogs, which they need. But The Packaging Guarantees Protein, Right? 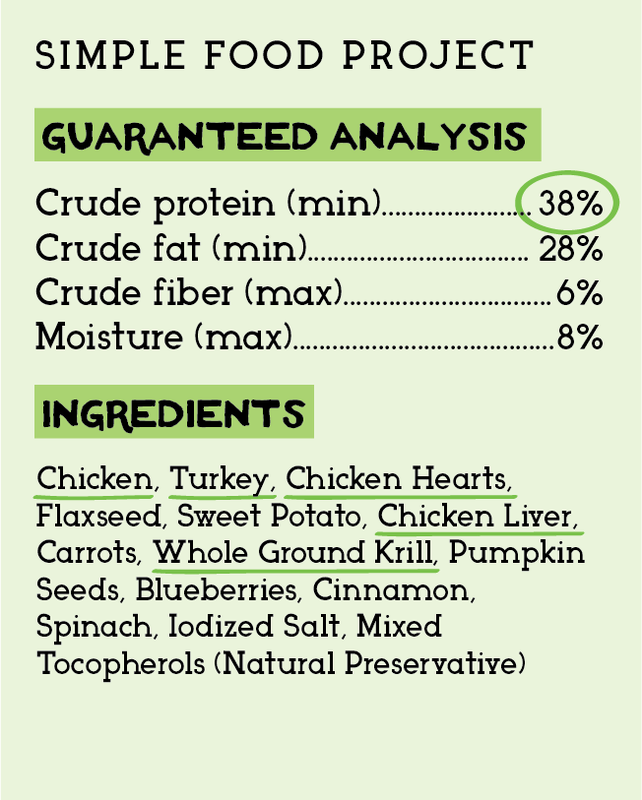 Some may argue that the guaranteed analysis displays the percentage of protein on the package proving there are adequate amounts for dogs. However, when kibble guaranteed analysis’ say there’s X% of protein, they don’t have to specify the source. Legumes happen to be full of plant-based protein, so when a pet parent reads a label, there’s no way of knowing whether “protein” refers to plant protein or meat protein. So, even if meat is the first ingredient on an ingredient deck, if the next five are legumes, that food is still high in legume content and low in meat content. If the high legume content weren’t enough of a negative, kibble is also produced using a process called extrusion (reason #81 why kibble just doesn’t make the grade). Put simply, meat and bone are subjected to 400°F + temperatures to be made into meat meal, an ingredient that often replaces meat in kibble recipes. Taurine is incredibly sensitive to elevated temperatures, even more so when there’s moisture, so it’s practically a guarantee that there is minimal taurine in dog food that has meal listed as the first ingredient. Why Exactly, Is Grain Free Low Taurine? There are several theories as to why taurine levels are low when fed grain-free diets, besides the disproportionate legume to meat ratio in lower-quality kibble brands. While the whys are important, the bottom line is your scavenger carnivore just isn’t meant to eat a diet high in legumes. Methionine and cysteine are sulfonic acids that combine to make taurine. The thought is, if dogs have enough of both, then they automatically have enough taurine. The high fiber in legumes restricts the taurine from recycling with the bile. Excessive amounts of long-chain sugars (from legumes) effect the fermentation in the gut, making taurine less available in the body. Colonic bacteria may break down the taurine. Some breeds/lines of dogs need more dietary taurine. If you notice, the list doesn’t say that peas (or legumes) aren’t nutritious. What we should take away from this research is that peas and legumes are problematic when a dog is eating significant amounts of legumes because it’s disproportionate to their dietary needs. 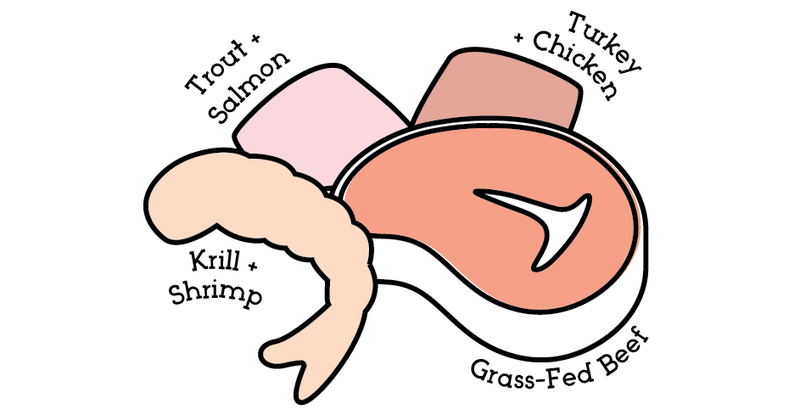 Would you feed your dog 80% legumes or would you feed your dog 80% meat? Dogs need 70-85% real, high-quality meats (organ & skeletal) and then fruits, veggies, and seeds in much lesser amounts to provide whole food vitamins and minerals. Really, neither high-grain diets nor no-grain diets (looking at you kibble) are species appropriate and these findings seem to be reiterating that. Regardless of the whys (which will surely be explored by veterinarians), what we can be sure of is that grain-free kibble diets high in legumes (and kibble diets in general) aren’t species-appropriate and are certainly not providing dogs with foods that contain taurine, something that they desperately need. These findings just reinforce that dogs are carnivores and should be fed as such. Okay… SOS What Do I Feed My Dog Then? 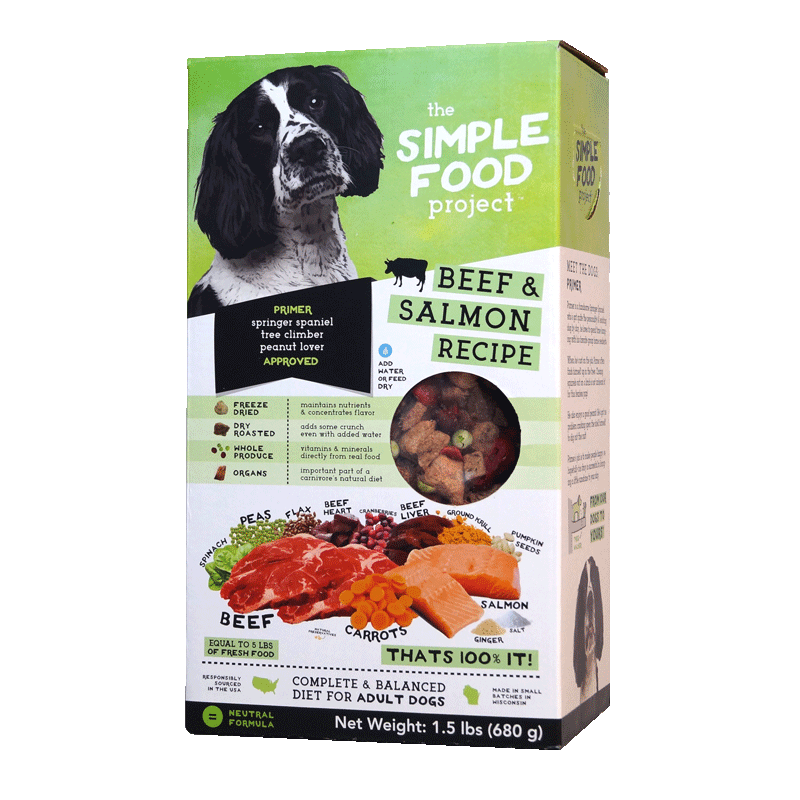 If you don’t have the time, means, or knowledge to home cook or feed raw, consider dehydrated products or freeze-dried dog foods (whether that’s The Simple Food Project or not). 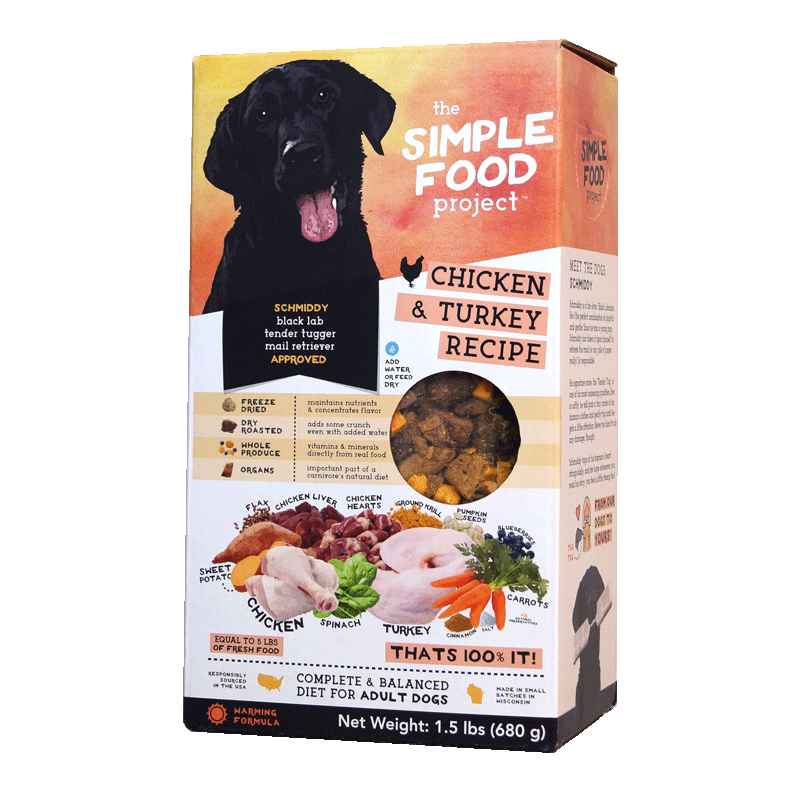 The Simple Food Project recipes retain 97% of the natural nutrients in foods and are still shelf-stable, so they’re ideal for your dog’s diet and for your busy schedule. 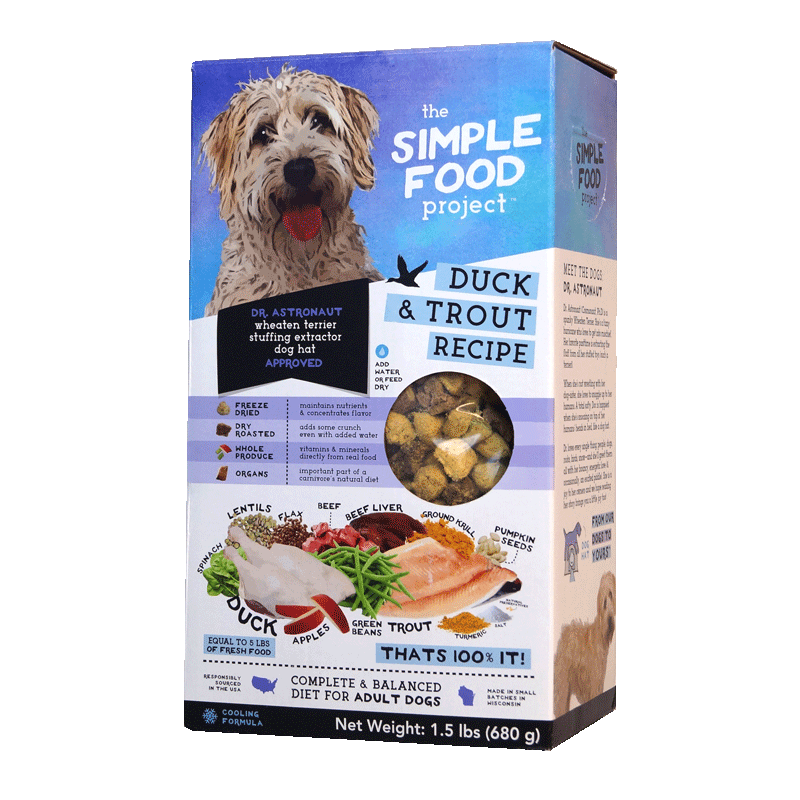 Plus, with high-taurine meats and organs in each Simple Food Project recipe, you can guarantee you’re feeding not only a species-appropriate diet, but real, whole foods that offer the benefits of taurine for dogs. Above, you’ll notice the percentage of taurine per recipe. Is that enough? Is that plenty? Currently, there is no standardized taurine dosage for dogs because AAFCO believed dogs could make it on their own. So, to gauge whether those taurine amounts were up to snuff, they were compared to the AAFCO requirements for cats who are true carnivores and need more than 90% meat. The percentages were found to be complete and balanced for cats, meaning they are more than adequate for the scavenger carnivore dog. If you’re on a budget or you feel you absolutely need to feed kibble, then buy fresh, high-quality meat like turkey and chicken or add seafood which is full of good protein for dogs. Even a can of sardines or clams in their evening meal once a week will do because these are all foods high in taurine. Or, at the very least, consider a taurine supplement for dogs. A supplement ensures that your dog is getting taurine (with a few other heart health boosters to boot). For now, while DCM research is ongoing, what pet parents can focus on is changing how and what they’re feeding their dogs (not hesitating to toss a pea or two in that bowl). Now is the time to ride or die raw, my friend. Chris Bessent, DVM, MSOM, Dipl. OM, L.Ac. has over thirty years of experience in veterinary medicine including certificates in veterinary acupuncture, veterinary chiropractic and veterinary Chinese herbology. 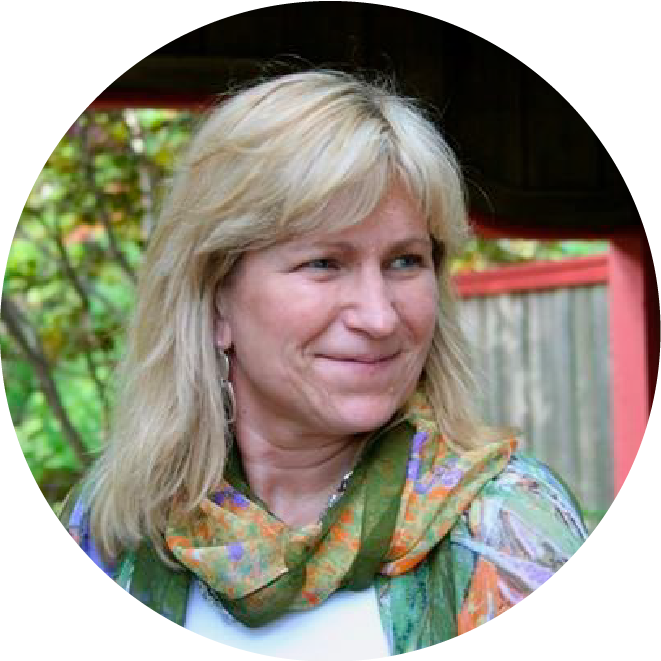 Imbued with Eastern philosophy and the knowledge that food is the foundation of health, Dr. Bessent also received her degree in veterinary nutrition and began to formulate recipes fit for a carnivore from nothing but whole foods. Currently, she divides her time between the Simple Food Project and Herbsmith, both of which are owned and operated out of her facilities in southeastern Wisconsin. 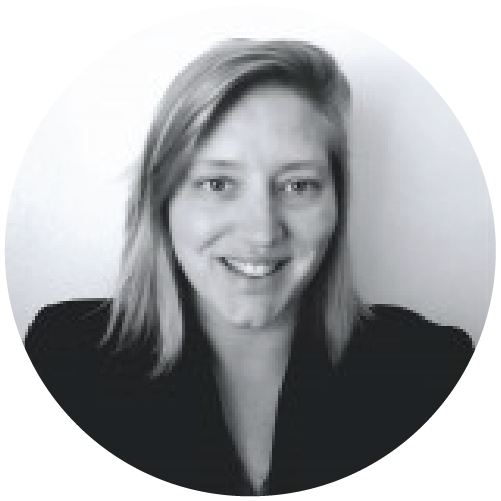 Kayla is the Content Writer for The Simple Food Project. She has a cat named Professor Cat-Faced Meowmers, who goes by Kitty, and a big, lovable goof of a dog, named Duck. She stays busy biking, playing board games (though seldom winning), and searching for the best craft beer.